So with George Jones tunes filling the house, doggers lounging nearby, and the sound of the rain gently falling on this quiet Saturday, I am inspired by gifts from friends. 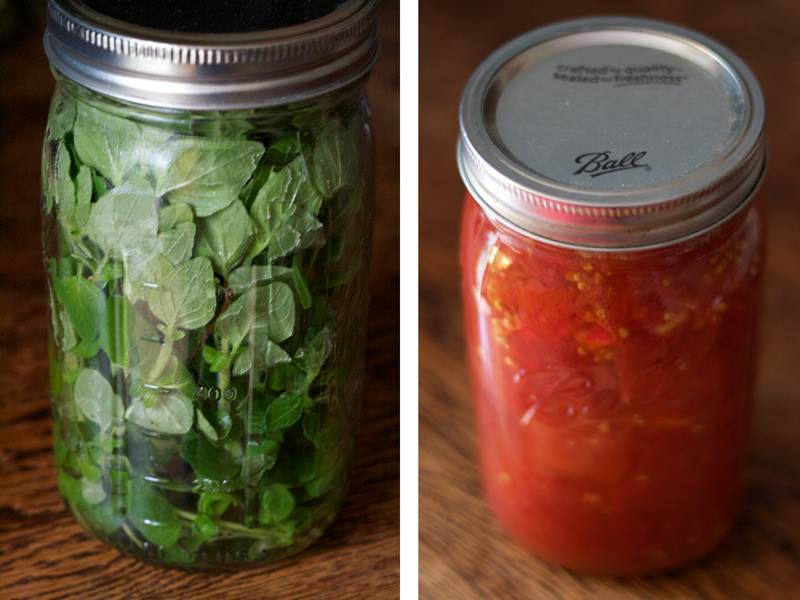 I love gifts that come in mason jars. Just last week I was presented with this wonderful jar full of fresh oregano from my friend Nicole’s garden. And a few weeks ago our friend Traci brought us these gorgeous tomatoes she put up from her garden last fall. Toast the cashews. Cool. Blend in a blender with water. Set aside. Heat a soup pot and add oil. Add onions. Cook, stirring, for about 4 minute or so over medium heat. Add garlic, carrots, and celery. Cook for another few minutes. Add tomatoes. Stir and cook for about 10-15 minutes. Stir in cashew milk. Add herbs and seasonings. 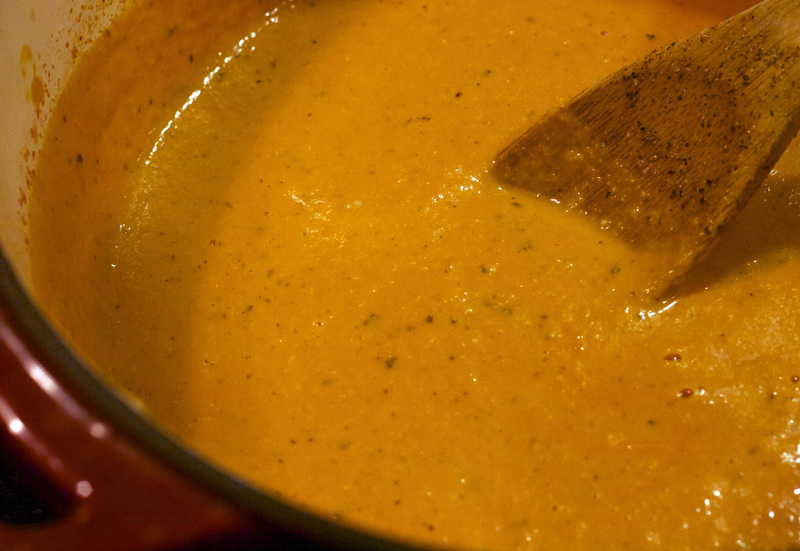 In small batches, blend the soup well in the blender and then return to the soup pot to heat through a few more minutes. 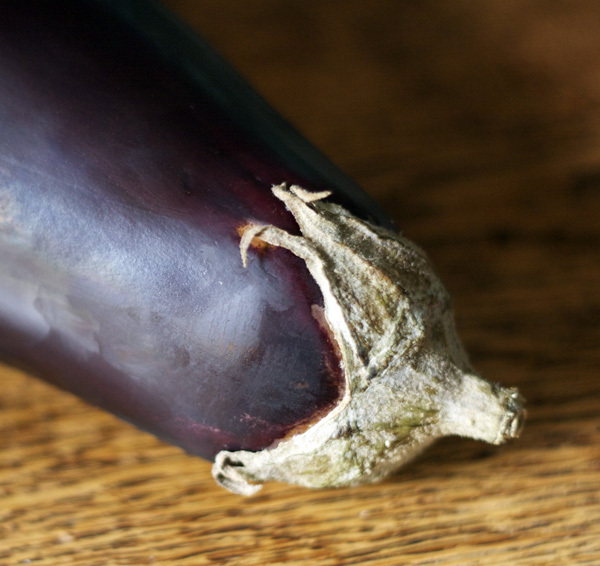 I know it isn’t eggplant season quite yet but I’ve been really craving it and so when I saw this organic eggplant show up on the produce stand of The Turnip Truck, I immediately bought it and brought it home. Then the next few days, I dreamed up this simple recipe. Today, I finally had time to make it become a reality. It was yummy with some olives and a little salami to start. Lazzaroli’s Pasta shop has some yummy Salumi salami. It is one that, apparently, Salumi only makes once a year with oregano. So thankful these guys have some of our favorite NW flavors available here in middle Tennessee! Spread the veggies out in a glass pan. Drizzle with olive oil, salt & pepper. Then gently drizzle a little vinegar over. Roast in the oven at 400 degrees for about 45 minutes, stirring once or twice. Remove from oven and let cool a little. Squeeze the garlic cloves out of their skin. Chop all veggies a little finer and place in a pot on the stove. Add the tomato paste and 1/4 cup of red wine. Gently heat and stir well. Toss fresh oregano in. Salt & pepper to taste. Toss with pasta and top with cheese. The key to cooking risotto is to stir constantly so be sure to have all ingredients prepped ahead of time. Heat stock in medium sauce pan. I like to add chopped onion, and fresh parsley sprigs to the broth. 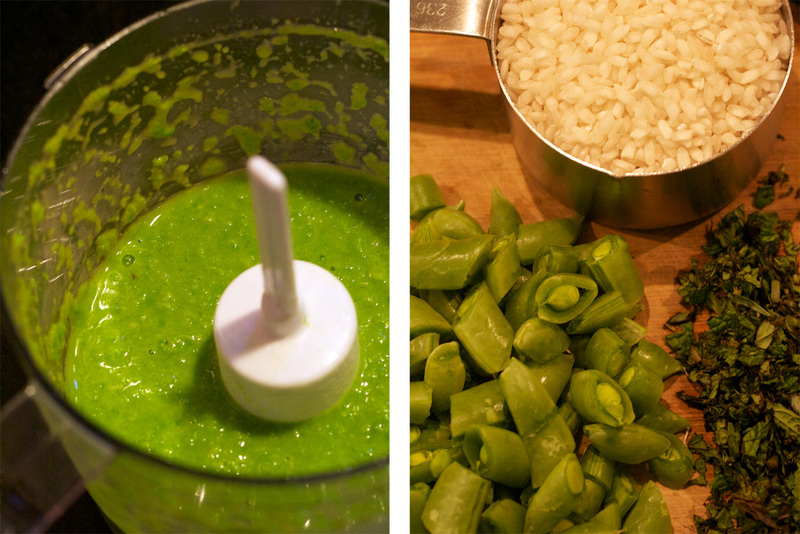 Puree the peas with the lemon juice and add to the broth pot. Once it comes to a boil, lower temperature to simmer. Heat oil in large flat pan on medium heat. Add onion and saute. Stir. Cook for a couple minutes. Add rice. Stir. Add wine. Stir. Gradually begin to add stock in, about half a cup at a time and continue to stir. Stir until most of the liquid is absorbed. Add another addition of stock and stir until most of the liquid is absorbed. Repeat this process until the mixture is creamy and a bit loose; the rice should still have some chew to it. The process will take about 20-30 minutes. Right when you think you are getting close, add the snap peas, mint, and tarragon. Stir. Add salt and pepper to taste. Stir. 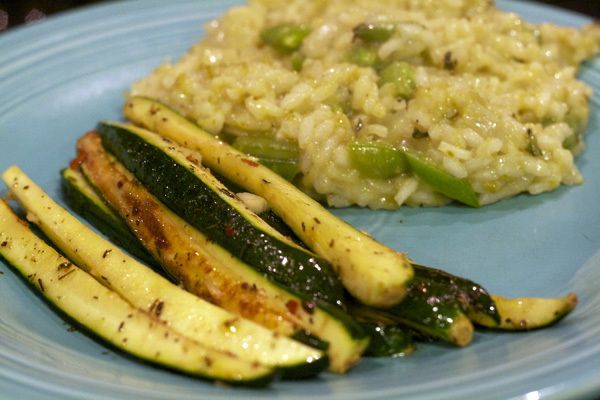 Add parmesan to risotto and stir. Last weekend we went to the Ernest Tubb Midnight Jamboree out at the Texas Troubadour Theatre on Music Valley Drive. This happens every Saturday night at midnight and is broadcast on WSM 650 AM! It is the second longest running radio show in history. We saw old master of bluegrass, Jesse McReynolds, play. He is amazing. His voice is still so strong. Acquaintances of ours, The Howlin’ Brothers, got up to sing a few, too. The reason I mention this is I want to be sure everyone is aware of The Howlin’ Brothers’ new album, Howl, came out in March! It is moving up all the record charts and has gotten great reviews. These guys are so deserving, too. They are such talented musicians and nice folks. They have been playing all over this area for years. They are hittin’ the road to promote their new album so be sure to keep an eye out for them and definitely go see them if they play your town.